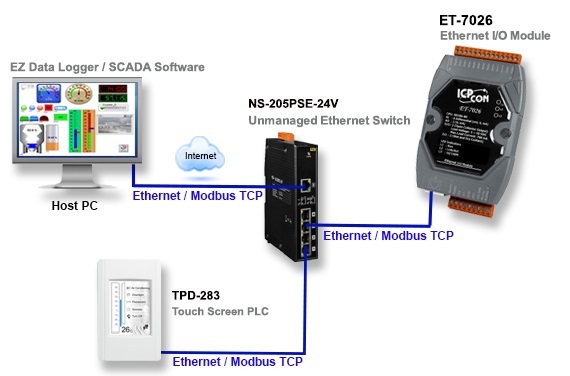 ET-7000 Modbus TCP Remote Ethernet I/O allow configuration, I/O monitoring and control through a regular web browser. They can be easily integrated with SCADA software and other I/O. 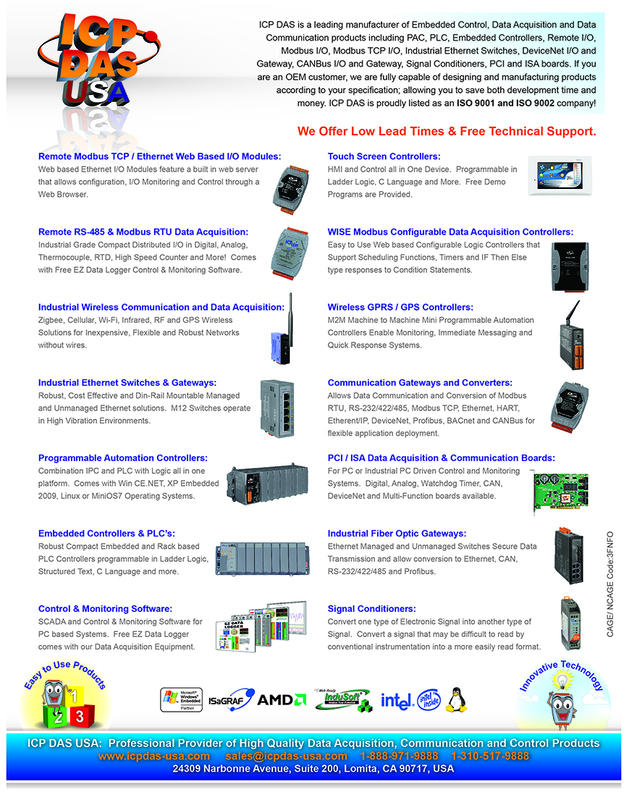 They come with EZ Data Logger Software for data logging and monitoring systems.